The marine algae survey will be led by Prof. Claude Payri, a regional expert for this group with particular knowledge of French Polynesia. 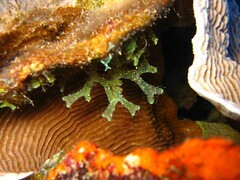 The first major study of the algae of Moorea was by Payri (1987) and focussed on the Tiahura transect, on the northwestern coast of Moorea. 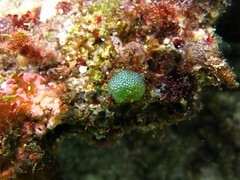 That study listed some 226 species of macroalgae in four main divisions. Since then, about 10 new additions to the Rhodophyceae and a couple of new Chlorophyceae have been reported from the island (N’Yeurt & Payri 1997; Payri & N’Yeurt 2000; N’Yeurt & Payri 2006; 2007; in prep.). 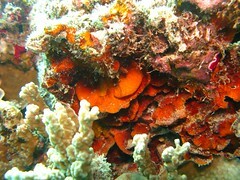 By comparison, the whole of French Polynesia contains over 425 species of marine algae. Many new records to the flora have been found since, and are in the process of being published. 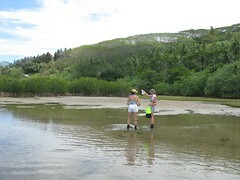 Payri and collaborators have started several PhD programs with the Museum national d’histoire naturelle of Paris to complement barcoding of this component through ongoing research in the Pacific including French Polynesia (Fucoids, coralline algae, Laurencia complex) Methodology and Workflow: Methods for the field and taxonomic work will be modeled after previous algal surveys by the participants. Sampling will include SCUBA (0-60m) especially on the outer reef slope. The 30-60 m depth level remains to date mostly unexplored and poorly understood, and is likely to reveal a number of new taxa. 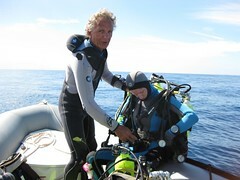 These dives need 2 divers (Payri and one IRD diver) with 1 support divers in the boat. Team members will include Prof. Claude E. Payri, Dr. Antoine D. R. N’Yeurt, and Mr. André Pham (UPF staff), Ph.D. students (Laurencia group, coralline algae and Fucoids) and IRD diver(s). Each species will be documented with field notes, in situ or lab photographs, subsampled for molecular work, preserved appropriately for morphological study, and identified. The new exhaustive sampling of Moorea will give an insight on changes in the composition of the flora since the last major survey a decade ago, with possible implications relating to pollution, environmental degradation, or introduced / invasive species. There is a possibility that new records or species might be found, especially on the deep part of the outer slope (-30-60 m) to complement our knowledge of the French Polynesian marine benthic algal flora. The voucher specimens from this survey will go towards increasing the holdings of the UPF herbarium, the first and so far only extensive algal repository in the southeastern Pacific.